Facebook save button detail introduction, i.e how to use it ? Spool……it all began with Spool. Facebook acquired a San Francisco based start-up ‘Spool’ that provided content caching. Considering the pace of additions and editions done to the social networking platform it seems the Facebook development team has been very busy for last couple of months. The incorporation of new algorithms was followed by ‘Call-To-Action’ followed by the ‘Buy’ button and now the ‘facebook save button’ option. 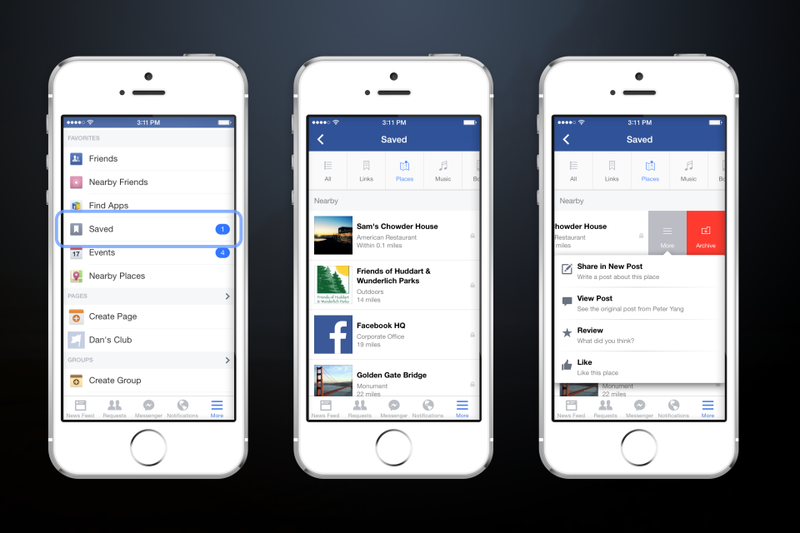 As of July 2014 Facebook has officially added this new facebook save button feature too the news feed – now users can bookmark posts, photos, URL’s, pages and more for later. This is Facebook’s latest attempt to encourage users to more time on its platform. The ‘Save’ button is designed to assist users to save and later explore their favorite content as per their convenience. This feature prevents users to keep going back and forth every time to access specific content. The facebook save button option automatically organizes saved content in a convenient folder under the “More” tab (on the apps) & for websites it is located on the left-hand sidebar. The saved items are arranged by the category, for e.g. saved news articles will end up in a separate ‘news’ section and music will show up in a ‘music’ section. You can swipe right on each item to share it with your friends or move it into your archive list. One important feature of the ‘Save’ feature is you get occasional see the saved items pop up in your news feed as a reminder. 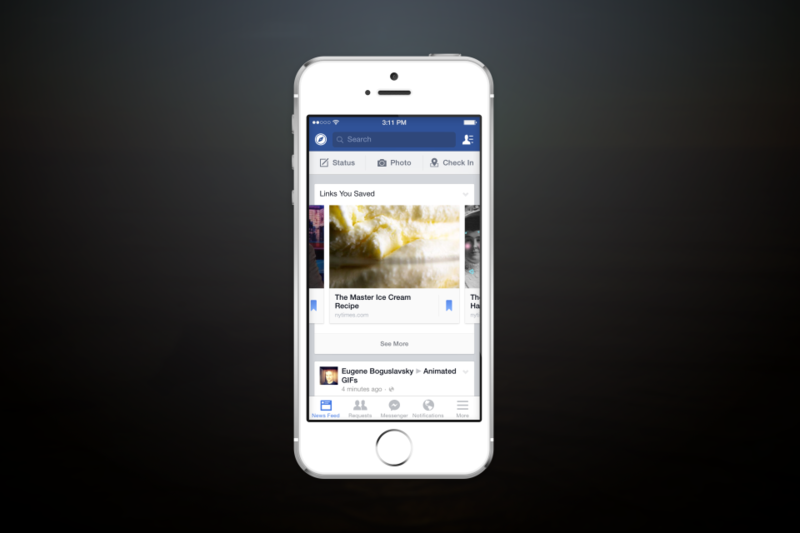 Facebook’s “Save” feature is aimed to make Facebook a more content oriented network site. 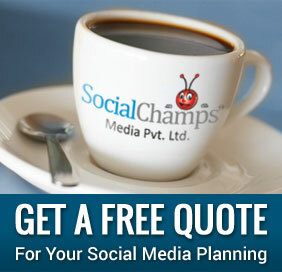 Facebook Emphasis is to make people spend more time on the site – readers are boon for online publishers. Facebook’s new algorithm which went live in December 2013 is aimed to improve news feed content quality by reducing spam, ads, auto-shared posts from apps, and some posts from Pages. Therefore for Facebook & publishers new challenge is to engage users effectively with the limited content. Users had no easy way to save and revisit ‘the interesting content on Facebook before the ‘Save’ feature – now they do. It will be clear over next few months how it will enhance the user experience.